One of the best things Catrina and I ever did for our marriage was to attend the Marriage Course. It wasn't that our marriage was in crisis, it wasn't, but as we did the course we learnt a whole load of principles which have allowed us to build a much better and stronger marriage. The course originated in HTB in London, the church which also started Alpha. We travelled up to HTB to do the course, but found it so beneficial that we then helped run it in Bracknell to make it easier for others to attend. Catrina and I don't personally oversee the running of the course any more, but I'm delighted that others have taken it on and make sure that others can continue to benefit from it. We've got two courses starting this week which are going to be run in peoples homes. On Wednesday 8th March we've got a course starting in Sunningdale, on Thursday 9th March a course starts in North Bracknell. The Marriage Course is for couples who are in a married relationship and seeking to strengthen their relationship. Some couples do the course to invest in their relationship, others need more urgent help. 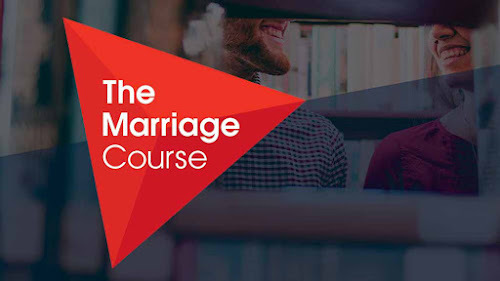 Either way, the course offers a lifetime of practical ideas and tools to help keep your relationship strong.The Marriage Course is based on Christian principles but designed for all couples with or without a church background. The Course is run in the Leaders home as a small group. The evening consists of a meal, DVD interviews and talks and time for private discussion between you and your partner. You never share anything about your relationship with anyone other than your partner. You can get more information and find sign up here.